Last year when Huawei Launched P9 and P9 Plus with high-end specifications, Leica-branded dual cameras, and a sleek design, which took to the top contender in the highly competitive smartphone market with top of the class smartphone. 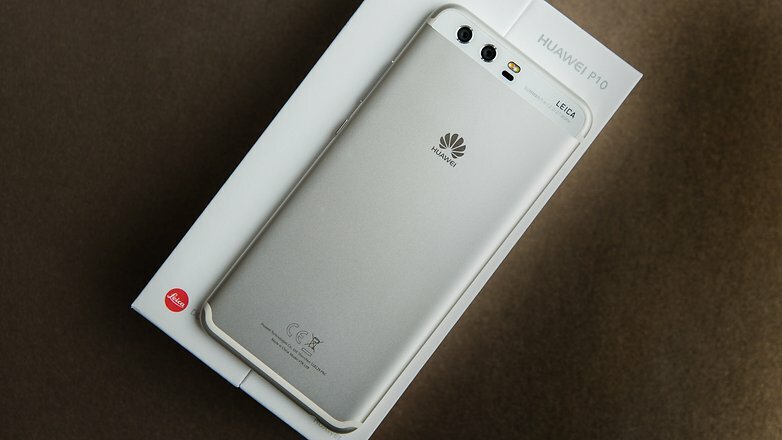 The Huawei P10 is almost perfect ten, as enticing as that wordplay sounds, While the flagship Mate series typically comes in bigger and better, the P series has been steadily closing the gap for a while now. Join us as we find out just how good the P series has become in our full Huawei P10 and P10 Plus review. 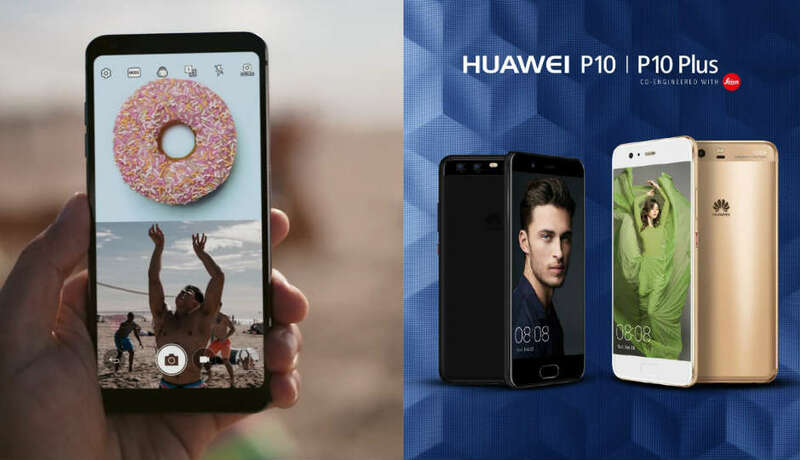 The P10 and P10 Plus are reminiscent of their predecessors though with more rounded edges with solid metal construction with very impressive build quality. Both phones have a slightly rounder edge that curves nicely onto the back of the device. The fingerprint scanner has been relocated to the front of the phone, where it can be used in place of on-screen buttons. While on-screen navigation buttons are the default, you can enable fingerprint scanner gestures in the settings. Tapping the scanner takes you back a step, holding it down takes you home, and swiping left or right opens the recent apps overview. Swiping up from the bezel to the right of the sensor onto the screen itself can also be used to call up Google Assistant. The P10 features a 5.1-inch Full HD display while the P10 Plus has a 5.5-inch QHD display with 25 percent greater pixel density. The P10 is the easier device to handle out of the two, with its 5.1-inch screen compared to the P10 Plus 5.5-inch diagonal. Both devices use an IPS-NEO LCD under Gorilla Glass 5 although their resolutions differ: the P10 features a Full HD display (1,920 x 1,080 pixels, 431 ppi) while the P10 Plus has a QHD display (2,560 x 1,440 pixels, 534 ppi) with more than 25-percent greater pixel density. Both IPS screens have great viewing angles and get plenty bright and are easily viewable under broad daylight, with an impressive brightness of close to 600 nits. 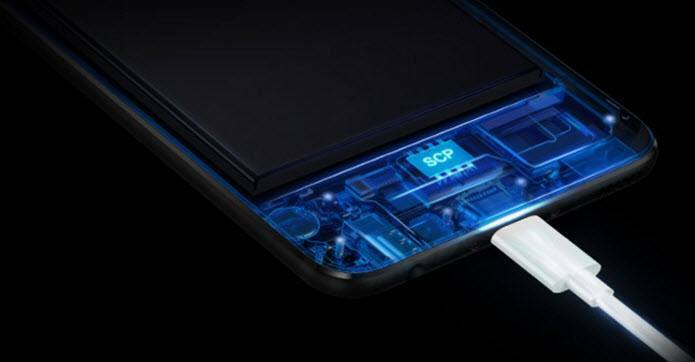 The Huawei P10 and P10 Plus both make use of the latest and greatest Kirin 960 chipset from Huawei subsidiary HiSilicon, combined with Mali-G71 MP8 graphics. The octa-core Kirin SoC delivers four high-performance Cortex A73 cores clocked at 2.4GHz and four energy-efficient Cortex A53 cores clocked at 1.8GHz for less demanding tasks. Huawei hasn’t been shy about pitching the Kirin 960 as a viable competitor to the best Qualcomm and Samsung have to offer this year. Audio from the single bottom-firing speaker and with headphones on is impressively loud. When it comes to battery life, both the P10 with its 3,200mAH and the P10 Plus, with its 3,750mAh cell, is sure to last you more than a day under typical usage. Huawei’s battery optimizations have been really good for a while and the added benefit of the Supercharger just goes even further towards putting the company near the top of the pile where pound-for-pound battery life is concerned. Of course, there’s also the usual bevy of battery saving modes, both from Huawei and those those that come as part and parcel of Android Nougat to help manage your power consumption per your needs and habits. Charging both phones up is a breeze using the included Supercharger brick and cable which charges a nearly 50% battery in a half an hour. The camera package is important for Huawei, as the P series was one of the first smartphone product lines to bring dual lens and sensor camera setups. While things were off to a good start on the P9 last year, with the P10 the dual Leica cameras feel like a further improvement to the system. On the P10 you’ll get a regular 12MP Summarit-H lens at f/2.2 aperture, backed up by a 20MP monochrome sensor that does the work of getting depth and detail information before colour is inserted into the scene. The P10 Plus gets a bump to Summilux-H lenses at f/1.8 aperture for even better low light performance and shallow depth of field photography. As you may have seen, DxOMark gave very high scores to the P10 & P10 Plus cameras recently, so it probably won’t come as much of a surprise to know that we also found Huawei’s latest camera offering to be really good. The front-facing camera has now received the Leica treatment as well. An 8MP f/1.9 aperture shooter helps to get good lower light shots and is backed up by a powerful selfie mode that provides a lot of control over how your face ends up looking in the picture. This is called the “Perfect Selfie” mode. 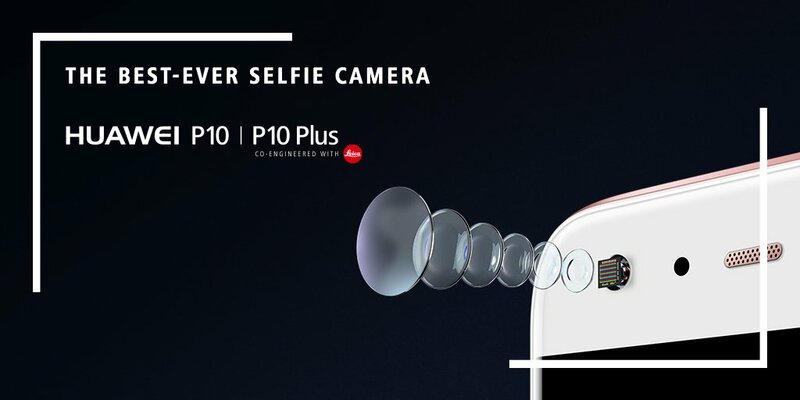 Both the P10 and P10 Plus benefit from an adaptive selfie mode that recognizes multiple subjects and automatically switches to a wide angle mode to squeeze everyone in. The main camera is further well equipped with its capabilities. Portrait mode also comes on the main camera, with the same selfie and artistic features, but there is plenty more available at one’s disposal. Enabling the P10’s wide aperture mode is useful to change the point of focus after a picture is taken which can produce some very nice results. As with the Mate 9, the Huawei camera app takes a lot of getting used to, with multiple menus and settings to be found with a swipe in any direction. There’s a whole swathe of pre-loaded modes including a dedicated monochrome mode we highly recommend getting to know your way around, as well as other familiar fare like HDR, panorama, light shot, light painting, time lapse, slow motion, and so on, as well as additional downloadable modes for better food photos and more. The P10 can shoot 20MP and 12MP shots at 4:3 ratio with the highest resolution 16:9 shots available at 9MP. Of course, you can always just crop larger resolution images to whatever aspect ratio you prefer and RAW shooting is supported for tweaking your photos in post. Both photos and video can make use of standard, vivid or smooth colours, beauty mode and there’s a range of pre-loaded live preview filters too. Video modes include 4K and 1080p 60fps recording. The resulting videos look quite good and don’t overtly lack in any aspect; OIS is available for usage the videos are smoother because of this setting. Out of the box, you’ll get the P10 without an app drawer, but this can be easily added in the settings right off the bat. But that’s just the start of EMUI’s customization potential. As far as the display is concerned, there’s a blue light filter for those late night mobile sessions, complete with scheduled start and stop times, and a colour wheel for adjusting the P10 display’s temperature to your liking. As mentioned above, you can choose between traditional on-screen buttons or fingerprint scanner gestures for navigation. But there’s also a floating navigation bubble that can replace on-screen buttons or supplement the scanner gestures. 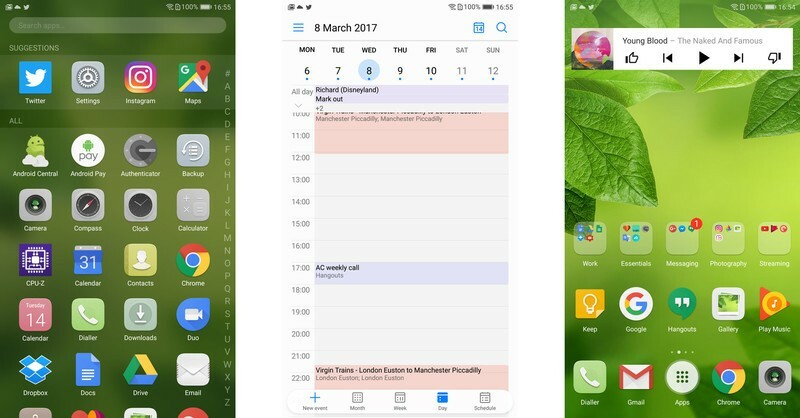 If you prefer on-screen buttons, you can also rearrange their order to your liking, including adding an additional button for pulling the notification shade down without having to reach up to the top of the screen. There’s an app lock for securing sensitive apps with a fingerprint and a “safe” for your file manager that can be locked down in the same way. You can fully manage how much of your notifications appear on the lock screen, add or remove a step counter and signature and subscribe to various lock screen galleries including Leica photography that refresh every time you turn on your phone’s lock screen. 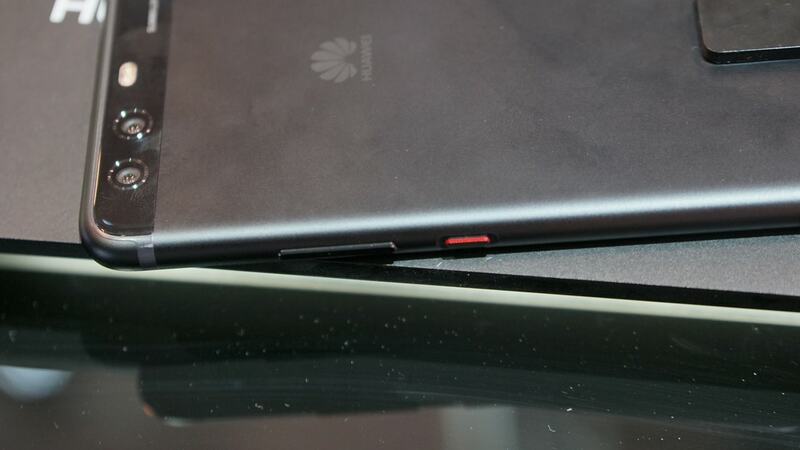 Huawei’s knuckle gestures are also on board for quickly launching apps and taking a screenshot but you’d be forgiven for never using them. There are also a bunch of battery saving settings including Nougat’s Doze on the Go, Do Not Disturb, app twin (for multiple simultaneous WhatsApp or Facebook logins), granular app permissions and a lot more that would be familiar to anyone with a passing knowledge of Huawei’s EMUI or Android Nougat’s feature set. Huawei’s settings menu is nicely laid out and clean, with most major features accessible with just a couple of taps. The notification shade follows the black-and-blue look introduced on the Mate 9 and offers customizable quick settings tiles as well as Direct Replies and bundled notifications.